General Mills has issued a voluntary national recall of some of its bags of Gold Medal Unbleached Flour. The decision was made “to prevent potential illnesses” after salmonella was discovered during the sampling of products, the company announced on Wednesday. No one has been sickened so far, it noted. The affected flour comes in five-pound bags and has a “better if used by” date of April 20, 2020. 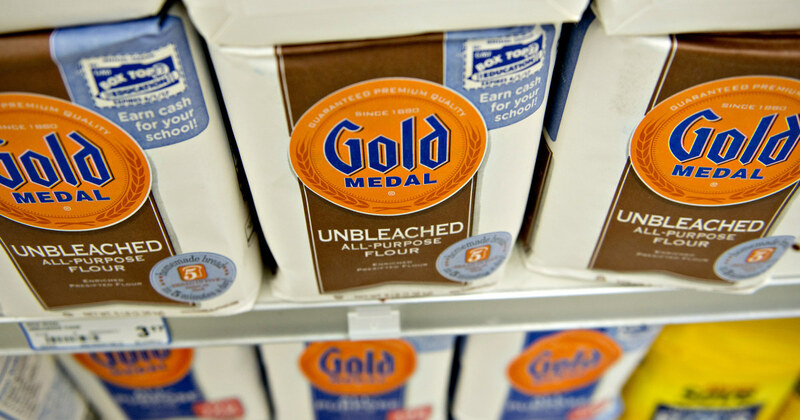 General Mills is conducting a voluntary national recall of five-pound bags of Gold Medal Unbleached Flour with a better if used by date of April 20, 2020. The recall is because of potential presence of Salmonella. FDA is investigating and working with General Mills on the recall. If you have this product, throw it away. Contact General Mills for a replacement coupon. “This recall does not involve any other flour products, and we are continuing to educate consumers that flour is not a ‘ready to eat’ ingredient. Anything you make with flour must be cooked or baked before eating,” said Jim Murphy, president of General Mills Meals and Baking Division, in a statement. Symptoms of salmonella poisoning include diarrhea, abdominal cramps and fever. This action comes almost three years after the company recalled some of its flour because it was contaminated with E. coli bacteria. Dozens of people were sickened. The Centers for Disease Control and Prevention warns against eating or tasting raw dough, or letting children play with it, noting that flour is a raw agricultural product that hasn’t been treated to kill germs. To minimize risk, bake or cook food made with flour at the proper temperature, wash your hands after handling flour and clean any surfaces, bowls and utensils it touched. If you have questions about the recall, contact General Mills Consumer Relations at 1-800-230-8103 or visit GeneralMills.com/Flour. A. Pawlowski is an NBC News contributor focusing on travel, health and business news and features. She began writing for NBCNews.com and Today.com in February of 2012. Previously, she was a writer/producer for CNN.com, and has also worked as a writer, editor and producer at CNN US and CNN Headline News.